Would you like your students to become bloggers but you have concerns about student safety, the learning curve, or finding a reliable free blogging service? Worry no more! TechnoBlog has the blogging resources you need to transform your students into responsible bloggers using the service Kidblog. Designed for schools, all blogs are private and can only be viewed by approved users. Step by step instructions guide you through setting up a class blogging account. Recommendations for how to use classroom management tools to moderate posts or comments and control student profiles are provided. In addition, TechnoKids offers free curriculum support if you have questions. The blogging activities transform your students into bloggers. They engage in the stages of the writing process by planning, organizing, writing, editing, and publishing their posts. Using the first person narrative style they learn how to express insights, advice, and opinions appropriately. Sample posts, blog starters, brainstorming activities, and planning sheets are included with TechnoBlog. Digital citizenship is emphasized throughout the activities. Students engage in an online blogging community responsibly and safely. Through a series of activities they learn how to be personal, but private; truthful, but not hurtful; and opinionated, yet respectful. Blogging guidelines, blogger’s pledge, commenting advice, comment starters, and digital footprint bulletin board materials are just some of the resources included with TechnoBlog. TechnoBlog has lesson plans that are designed to teach your students how to blog. Your students acquire the basics with an introduction to the blogosphere and blogging terminology. Next, they complete brainstorming activities to get their creativity flowing. What follows is a sequence of creative writing activities that help your students gradually develop the skillset to blog and comment responsibly. Assessment tools such as checklists, blogging rubric, and commenting rubrics help teachers evaluate learning. TechnoKids Inc. is excited to introduce a great new feature included in our technology projects – individual digital workbooks for students. Instead of printing out workbooks for students to read and follow TechnoKids’ step-by-step instructions to complete projects, these new files allow students to open and read the instructions on their computers as they work. And instead of opening the entire workbook document, TechnoKids has created a small, separate file for each assignment in each project. Students can now see the instructions on their screen as they complete a task. In each TechnoKids project folder that contains the files, templates, or samples that students need to access, you will now find an additional folder called ‘Workbook’. From this folder, students can open a file with instructions for each assignment, review, skill review, and extension activity for the project they are working on. Eliminate the cost and time to print the workbooks! Have the instructional materials in an engaging format for today’s students. Encourage students to work independently and at their own pace. Never have to replace lost, missing, or worn paper workbooks again. 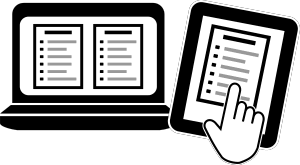 Another feature of these student workbook files is that, with the most recent version of Adobe Reader, students can annotate these pdf files. Using the Typewriter Tool, they can now make notes in the digital workbooks, write helpful comments, or bookmark their place for the next session. As a teacher, you may also choose to write notes in the workbook files, direct students to take note of special instructions, modify and personalize the project for your classroom and curriculum, highlight important details, or instruct students to omit steps for time constraints. What do you need? If you haven’t already, just download a free copy of the latest version of Adobe Reader. Then place the new folder of TechnoKids workbook files for the project you’re working on in a place where students can access them: on their computers, on a network, or on a secure web-based server, such as Edmodo. Now you’re ready to go – simply direct your students where to find the workbook files and how to use the taskbar to toggle from one document to another. Or show them how to resize and arrange two documents on their monitor at the same time – the workbook and the project. Some schools who have tablets, have used TechnoKids digital workbooks on the tablets as instructional materials while the actual project is created on an accompanying desktop computer. Your students will help you find the best way for them to make use of this exciting new feature of TechnoKids technology projects! Browse our online store today to try digital student workbooks.